MI6 are offering you a chance win a set of all three Young Bond hardbacks currently published by Hyperion in the USA! Enter the MI6 competition for your chance to win. MI6 are offering you a chance win the three Young Bond hardbacks currently published by Hyperion in the USA! 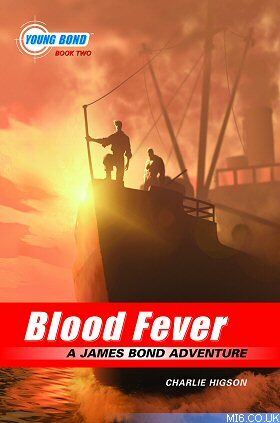 "Blood Fever", "Double Or Die" and "Hurricane Gold" are all available to buy now in the US in hardback, with cover designs from Young Bond artist Kev Walker. 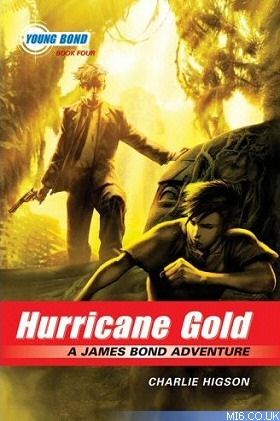 The most recent title to be released in the US, "Hurricane Gold", hit shelves last month on 7th April 2009. As the sun blazes over the Caribbean island of Lagrimas Negras, its bloodthirsty ruler is watching and waiting. Criminals come here to hide, with blood on their hands and escape on their minds. On the mainland, in the quiet town of Tres Hermanas, ex-flying ace Jack Stone leaves his son and daughter in the company of James Bond. But a gang of thieves lie in ambush - they want Stone`s precious safe, and will kill for its contents. 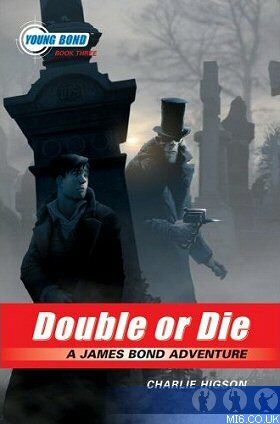 Win Young Bond USA Hardbacks From Hyperion! Which ancient civilisation spoke of cursed treasure called hurricane gold? The competition closes at midnight GMT on 17th June 2009. MI6 will choose the winners at random from the correct answers received. The winners will be contacted via the email address supplied and their postal address will be requested. If a winner fails to respond within 7 days of prize notification, another winner will be chosen until all prizes are allotted. Competition is open to international MI6 readers.